Emilia's Outfit and New Makeup Brushes! Sorry this post is late - I meant to put it up last night but didn't get a chance as I was trying to learn iMovie and edit my video! 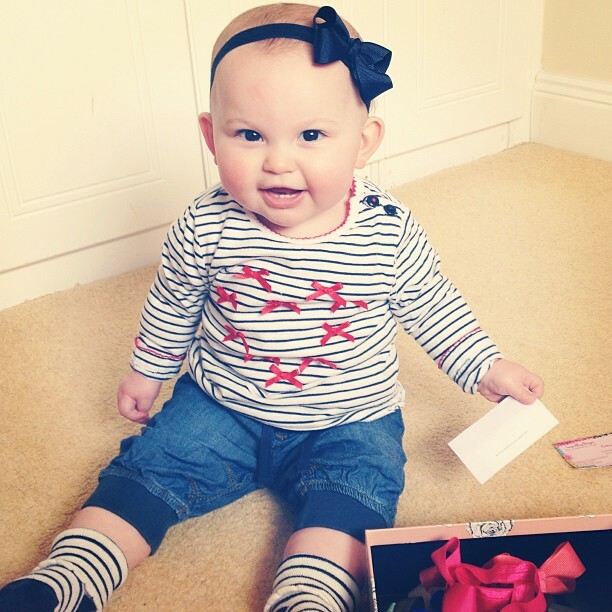 Anyhow, here is Emilia's cutie pie outfit from yesterday! She is wearing her new navy blue Layniebug Designs bow and the only way I could get her to sit still for the picture was to place her box of bows in front of her so she was distracted for a while...she just wants to take off all the time! Her top is from Monsoon, the socks are Baby Gap and the little cut-off jeans are from Next. Last night I also posted my review of the Real Techniques Duo-Fiber Collection brushes. This was my first time using any Real Techniques brushes and I was very impressed...you can check out my full review here. 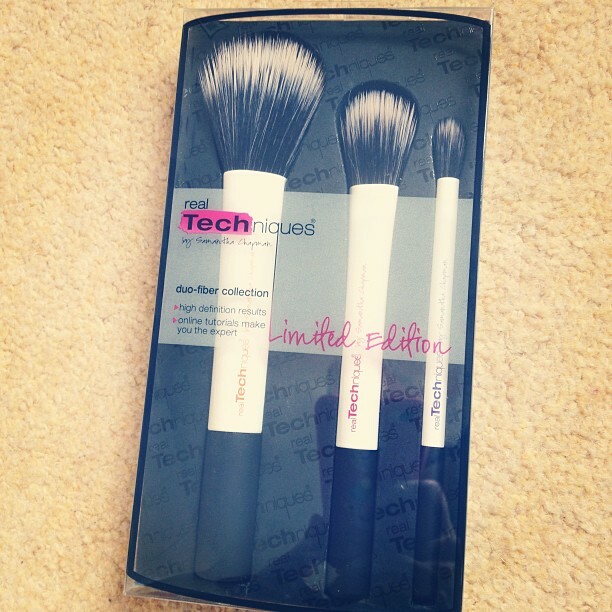 Also thank you to Cloud10Beauty who sent me the brush set. They are an Irish website that stock lots of products unavailable to us in shops...they also sent me the Mama Mio stretch mark cream & oil during my pregnancy! Hi Anna, can you tell me what size is your macbook pro ? 13 or 15 ?